With a heritage deeply rooted to the beauty and power of the sea, La Mer is proud to announce the fifth anniversary of its partnership with Oceana, the world’s leading international ocean advocacy organization. Since 2005, La Mer has actively supported the efforts of Oceana in the protection and preservation of the oceans as a tribute to its founder, Dr. Max Huber. Inspired by the rejuvenating and healing powers of the sea, La Mer has created a limited-edition 100 ml World Oceans Day “blue” Crème de la Mer jar and will make a $200,000 donation to Oceana. This is the first time the look of La Mer’s signature Crème de la Mer jar has been changed; “going blue” signifies the brand’s continued commitment to the oceans. The remarkable accomplishments of Oceana have raised critical awareness on the plight of our seas and their precious resources. Oceana’s specific campaigns to promote habitat protection, pollution control, safe seafood practices and responsible fishing have facilitated extensive global policy changes grounded by their tireless scientific research and reporting. La Mer is proud to support the continued growth and development of Oceana and honored to celebrate the fifth year of a dedicated partnership. Over the course of the past five years, La Mer has donated over half a million dollars globally towards Oceana’s sea expeditions, studies and preservation efforts. La Mer’s $200,000 World Oceans Day donation in 2010 will support Oceana’s habitat protection campaign and will also help heighten awareness for their recent global expansion in Belize. The opening of Oceana’s new office there highlights their ability to identify and address areas in need of attention and whose health holds great importance in promoting the future wellbeing of the marine ecosystem. In 2009, The United Nations made World Oceans Day an official global holiday. To anniversary this and share the experience of Oceana’s extraordinary work, La Mer will sponsor a deep-sea dive in Belize with Oceana Spokeswoman January Jones. A passionate sea advocate and distinguished actress, January has been working with Oceana to raise awareness and help educate the public about ocean issues and ways to get involved. A classic icon of beauty since its creation – the Crème de la Mer jar will “go blue” for World Oceans Day 2010, marking the first time any change has ever been made to the look of its symbolic jar since originally designed by Dr. Max Huber. La Mer President Maureen Case explains, “The heritage of our brand is really founded in the classic emblem of our signature product, Crème de la Mer. Historically, La Mer has never made any alterations to the original jar, logo, color or design created by Dr. Max Huber until now. We are so proud to do so in celebration of this five-year partnership with Oceana as it harkens back to the core of what La Mer is all about – The Sea.” The limited-edition 100 ml “blue” Crème de la Mer jar is available in limited quantities and will be sold globally in the month of June in celebration of World Oceans Day. Created in 1992 and made official by the United Nations in 2009, World Oceans Day takes place annually on June 8th and is a day to recognize the sea’s importance as a vital ecosystem and take action to preserve its delicate habitats and wildlife. With over 300,000 members in 150 countries, Oceana’s science-based policies have greatly reduced over-fishing and protected threatened marine habitats. For more information about World Oceans Day and the partnership between La Mer and Oceana, please visit www.lamer.com/oceana. 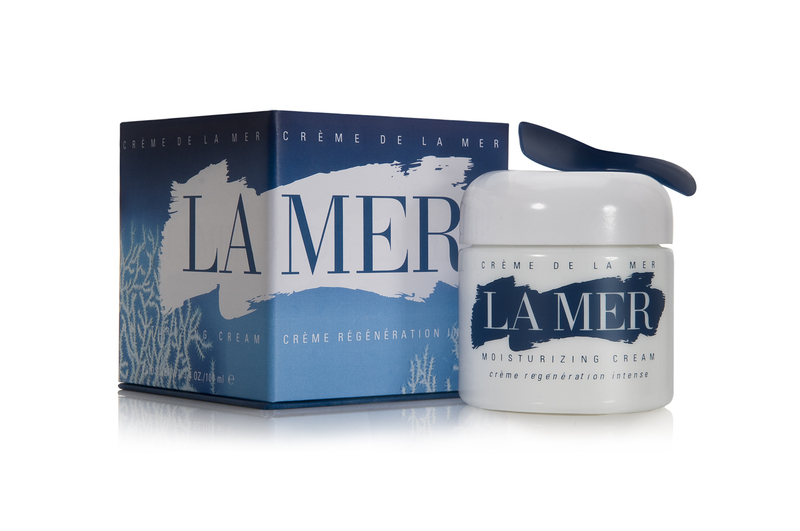 La Mer’s limited-edition 100 ml World Oceans Day Crème de la Mer will be available at select Saks Fifth Avenue, Neiman Marcus, Bergdorf Goodman and www.lamer.combeginning in May 2010. Ah La Mer.. maybe one day I'll be able to afford it! LOL! But it's great that they're giving back. thanks for following my blog!! I follow you!! !